In Issue 195 of Digital Camera magazine I had a slightly quieter time of commissioning content than usual as we had a photography student, Polly Evans, on a work placement with us. Polly was great, and needed little guidance to produce some brilliant shots and ideas. This left me free to get ahead with organising content for the next issues. I did commission the photo project below, after spotting these pictures of an inquisitive red squirrel on photographer Francis J Taylor’s website. I thought they would make a fun autumnal project. I also suggested to Polly that she write a tutorial on How to make an animated GIF for us, as she had done such a great job of making some GIFs for the magazine’s Instagram channel. I followed her steps carefully and managed to make a GIF in this way – the screenshots and finished image in this tutorial are from me. I also tweaked her intro a little, as I do with many of the tutorials that photographers write for us. Finally, I edited down this fish tank photography tutorial that had been sent in on spec by photographer Mark A Hunter. I condensed the original text and images down to fit onto a double page spread, and to make sure that the most important information and tips were clear. 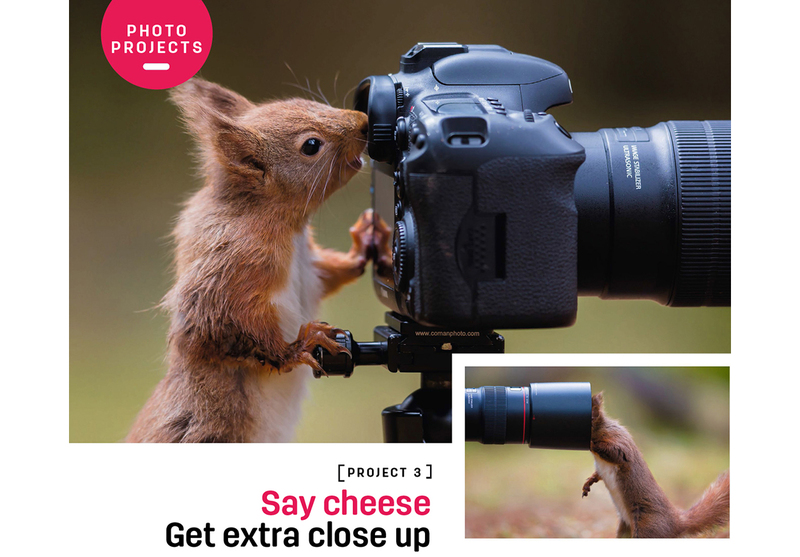 Read more of these projects, and other exciting photography articles such as a landscape photography masterclass and street photography challenge, in Issue 195 (October 2017) of Digital Camera magazine.